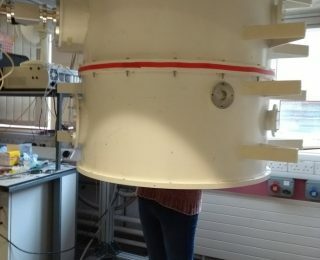 A week in the life of an astronomy postgrad researcher – more average than you might think? To provide insight into a typical week in my life as a grad student, I kept a record of my daily activities. How does it compare to your own? Outreach extraordinaire, Lawrence Rudnick, employs both radio and x-rays to investigate the dynamics of the intercluster medium. Be sure to read this interview before his plenary talk at #AAS231 on Wednesday! To unlock the secrets of the (local) universe, Adam Riess observes the brightness of supernovae and Cepheid variables to measure the distance to galaxies far, far away. Read more about his research before his plenary talk at #AAS231 on Tuesday. 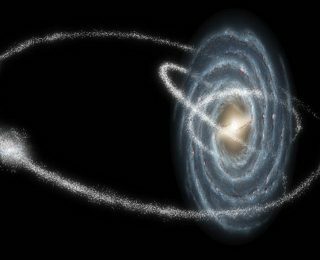 Over its lifetime, the Milky Way has battled with several dwarf galaxies and won, leaving behind the streams of stars we observe today. This bite explores whether such a battle resulted in the formation of the mighty Monoceros ring! Charging forward to Alpha Centauri! 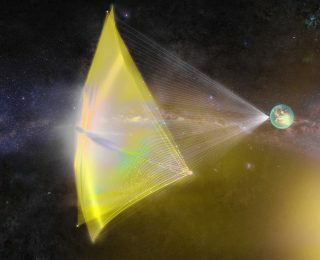 In our latest installment of “how on Earth do we get to Proxima b?”, we consider the effects of magnetic fields on the trajectory of Breakthrough Starshot’s proposed sailcraft.